Auto Truck Service Inc. has been in operation since 1978, providing a complete range of auto repair services to drivers, no matter their vehicle. Come to us for repair and maintenance for your car, truck, RV, boat or performance engine and get the reliability that comes from ASE Certified techs and more than 50 years of experience. Schedule a service appointment with us today and get your vehicle the repairs it needs, done right, the first time. Our mechanical abilities and expertise extend to all makes and models of car and truck, including diesel vehicles. We also work with RVs, boats and performance engines. 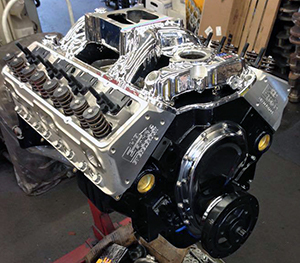 We have a full-service machine shop, ready to provide precision machining services for engines of all types. Our staff is completely experienced in all areas of auto machining. Our shop has been family-owned and -operated for more than 50 years. We’re not here to give you the runaround—we’ll get the job done right, like we’ve been doing for decades. Count on us to be your fleet vehicle maintenance partner! We partner with companies to ensure the needs of all their fleet vehicles are met to the fullest. We stand by our work, offering a 12,000-mile or 12-month warranty on parts and service we provide to you. Are you looking for an auto repair shop that can handle any mechanical need your car or truck has? Do you need the experience of tenured machinists when it comes to building the perfect performance engine? Looking for a fleet maintenance partner to keep your vehicles out of the shop and on the road? 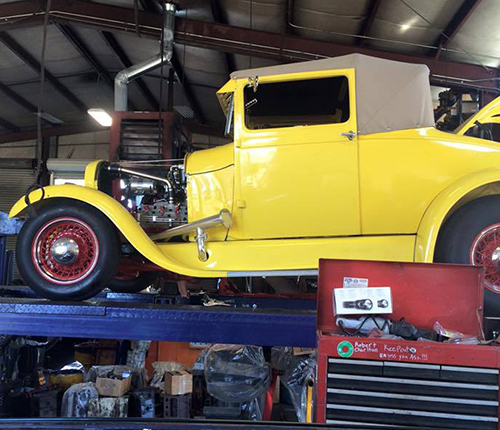 Auto Truck Service Inc. fits the bill! We aim to be your all-in-one mechanic in Everett, WA, providing everything from simple oil changes and routine maintenance, to precision machining and even marine engine service. If it’s mechanical, we can handle it, no matter the make, model or year. Our abilities know no bounds and we’re proud to always deliver exceptional results in every vehicle we work on. At Auto Truck Service Inc., we always aim for performance! Whether we’re just giving your vehicle a much-needed tune-up after years of reliable service or we’re working to build you an engine that leaves your competition in the dust. Even when it comes to auto repair in Everett, WA, our emphasis is on providing targeted repairs that help your vehicle reach new levels of efficiency and reliability. Through a diagnostic approach we make sure we’re delivering the services your vehicle needs at a level that truly improves its mechanical function. Whether you’re due for factory-schedule service or you’re looking for a fleet maintenance partner, we’ll show you why we’ve been trusted for half a century! Engine acting up? Truck due for service? Customizing a performance engine? Trust our mechanical experts for top-tier service and exceptional results!